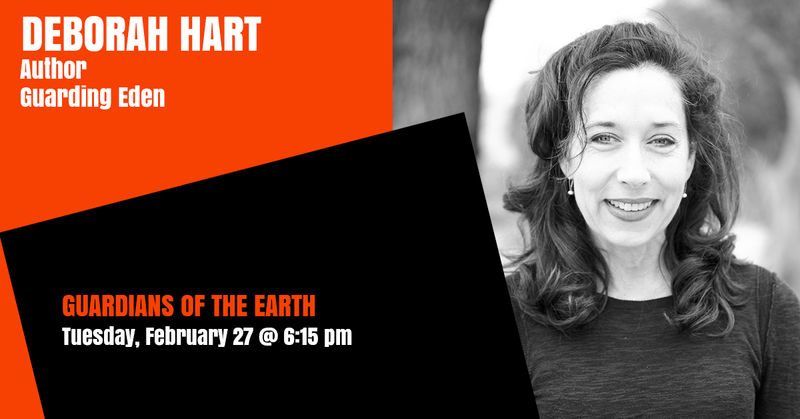 Deborah Hart is an arts-focussed activist, writer and mother from Melbourne. After 16 years working in development roles with leading Australian arts and culture organisations—as increasingly neoliberal government policies were forcing important public organisations to form ever-closer alliances with destructive industries they exist to critique—Deborah left her profession in order to devote more time to climate activism. Deborah founded LIVE (Locals Into Victoria’s Environment, 2006) and later co-founded CLIMARTE (2010) and ClimActs (2013) to harness the creative arts and combine spectacle, humour and direct action to draw attention to the urgency of climate change. Deborah wrote Guarding Eden (Allen & Unwin, 2015) to show how and why highly destructive, polluting industries that built immense wealth and influence last century are now using that power recklessly to protect their profits, and what ordinary citizens are doing in attempts to safeguard nature and humanity’s future.